The barrel room in the Caccia al Piano cellar. "The new Caccia al Piano cellar. French oak barrels for great Italian wines. " Maturing Caccia al Piano wines requires silence and patience. After the new wine is drained off the pomace, it begins the lengthy process of maturation. 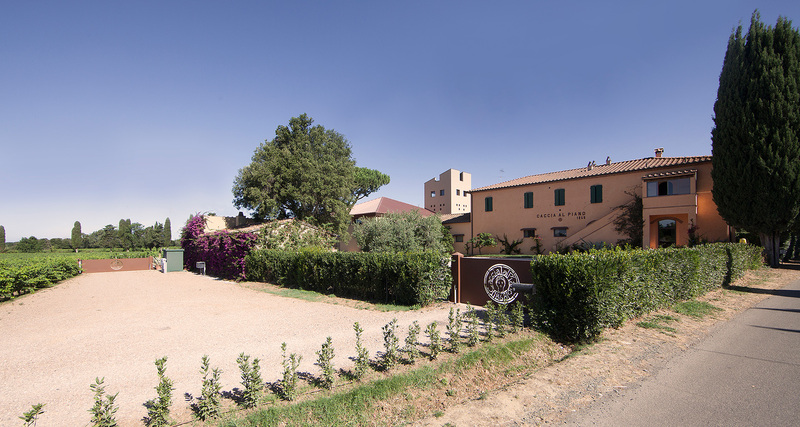 The winemaker, relying on his formidable professional experience and sensory expertise, and on the qualities of the various varietal wines, creates a series of individual wine lots, which later can be assembled into the final blend. It is at this point that the wine will undergo the transformations that are stimulated and produced by its container: OAK. LEVIA GRAVIA “Heavy things, light things", by Giosuè Carducci.